The Jack Wolfskin Mens Zenon Storm Jacket is a down insulated jacket ideal for cold weather adventuring . The outer of the garment is constructed from Stormlock fabric that is lightweight, windproof, water resistant and breathable. 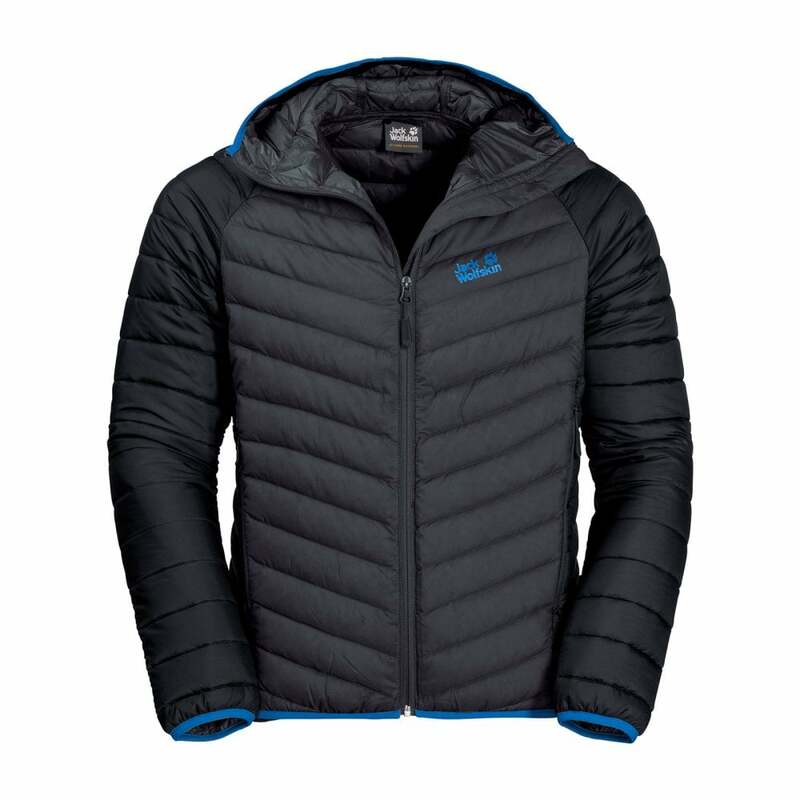 The warm 90/10 down with 700 fill power offers excellent lofting and insulation, providing exceptional warmth at minimal weight. The excellent warmth-to-weigh ratio makes it highly packable and ideal for travelling light, meaning you can easily pack it away in a rucksack or bag. This high quality natural down is also certified according to ethical standards. Microguard Maxloft synthetic insulation is a fast-drying loose fibrefill insulation that provides superior heat retention in cold weather. The high loft insulation traps warm air and prevents heat from escaping quickly, making it an ideal choice for enhanced cold weather performance when the temperature drops and the wind picks up. An attached hood with stretch binding provides convenient protection from the elements, ideal for protecting the face and head against cold winds and heavy rain.